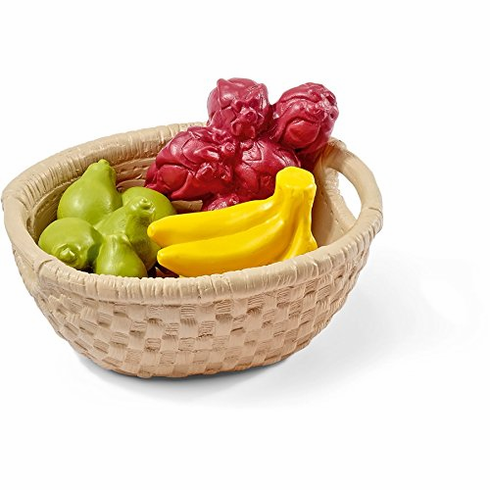 Schleich - Fruit Feed Set. Fresh fruits are the absolute favorite food for many animals. When the caretaker appears with the basket full of fruit, the animals are happy and try to get as much as possible of the delicious food. A lot of effort is needed to make sure that each of them gets something.